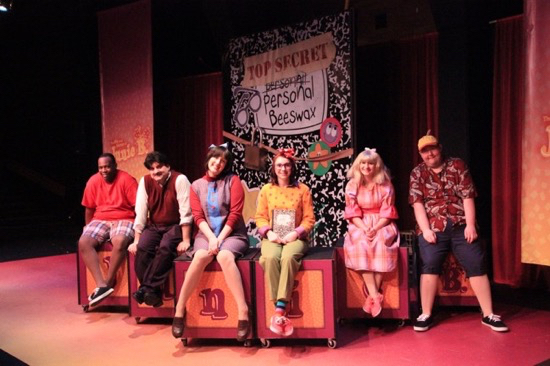 Yesterday we finished the last of 13 performances of Junie B. Jones and thus I now begin that reflective decompression period after a show ends. People have recently been asking me why I am doing community theatre and if I get paid. I thought I would take this opportunity to clear a few things up. First, there is an awful stereotype that even I once held, that people that do community theatre are not very talented. “If these people are so good, then why don’t they do it somewhere and get paid for it?” Well, I can say with absolute certainty that since March 2015 I have worked with some of the most talented people I have ever known–professional caliber through and through. The one thing I did not anticipate in getting involved in community theatre is the level of passion and dedication there. These folks are not only not getting paid, but they are paying extra with equity gained from their energy, hard work and sacrifice to take part as selfless volunteers. Second, people are astonished at how much time volunteer actors spend on shows. Yes, I did spend about 12-15 hours per week at rehearsals and many more hours at home and in the car immersing myself in the show. I did sacrifice many prime hours of family time and sleep over the last 8-10 weeks and left my wife and kids to hold the fort. Thank you to my family for sacrificing to let me go play. So what did I gain in return? New friendships. New experiences. Fun memories. Better physical fitness. An avenue to work out my creativity and memory. I think that it was a fair trade for time that I likely would have spent watching Netflix, staring at my iPhone, eating junk food and questioning what I am doing with my life. My wallet is not getting fatter (quite the opposite actually) and I may never achieve any substantial amount of fame or notoriety for what I am doing, but my wealth is increasing in the most important way. I am depositing the love and kindness I feel from this new network of friends into my heart and this love has been feeding my soul. Thank you! Visit Justin’s and My new site for our web show Minecraft Maven! Bob Severns © 2019. All Rights Reserved.